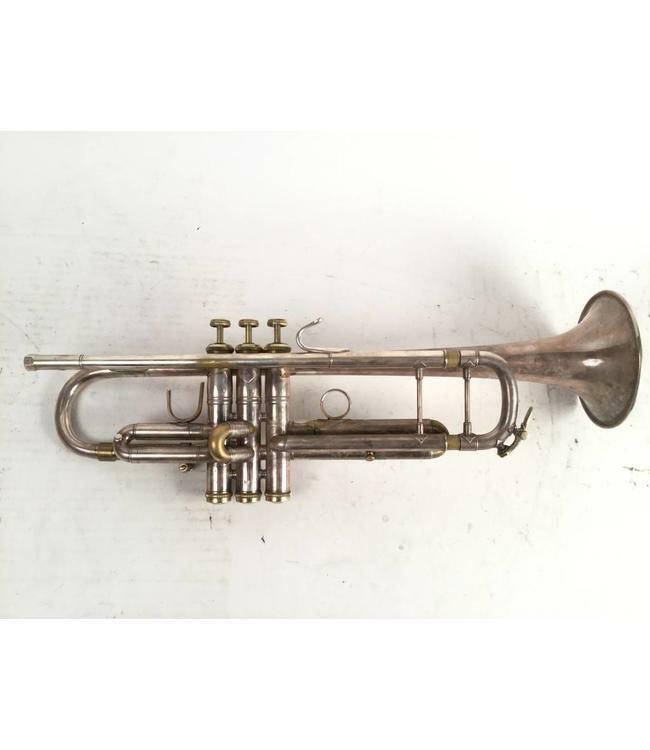 Used Bach Stradivarius model LT43 Bb trumpet with 43 leadpipe and tunable bell in silver plate with gold trim. This trumpet is in good overall condition with minor wear and repair evidence throughout, not affecting playability. Tunable bell conversion and 43 leadpipe. No case.